We encourage anyone who is considering enrolling with Total Access Medical to make an appointment with one (or more) of our concierge doctors FIRST. This way, you can get a sense if the doctor is the right fit for you and your specific needs. It's free. 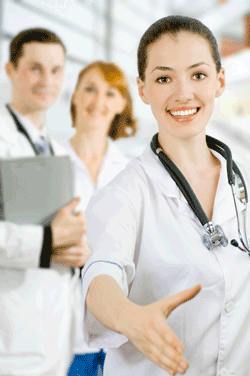 Your initial meeting is just that—a casual meeting where you get to know the doctor and he or she gets to know you. There's no obligation. Just because you meet with one of our physicians doesn't mean you have to enroll as a patient with him or her. If you don't click, you can meet with another doctor and see if there's a better fit. You can ask questions. If you're new to concierge medicine, you'll likely have questions. Talk through your questions and concerns with a doctor who understands the ins and outs. It gives you peace of mind. When you meet a doctor and you know he or she "is the one," it makes the rest of the process so much easier. Remember, the beauty of concierge medicine is that you work closely with the same physician week in and week out, so it's important that the two of you gel. Simply fill out the form to get started.